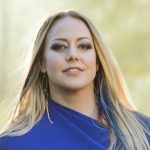 Milla Andersson is a Licensed Soul Therapist at Soul Therapy School, responsible for Soul Therapy Sweden, supporting women, men and youth internationally who desire personal and professional freedom. Working with Milla will enable you to see where and why you are stuck, the core issue that has and is repeating itself throughout your lifetimes and the clarity of Soul perspective that Milla will provide for you. She will empower you with a safe, nurturing and compassionate presence, listening to your body’s wisdom to reveal the truth of your situation. Working with Milla will allow you to embody your spiritual gifts and open you up to experiencing first hand how powerful you are while clearing mental patterns that sabotage your success, the emotional triggers that keep you playing small and the physical unhealthy boundaries that keep you attracting the same relationships repeatedly. Gaining insight while working with Milla will give you peace of mind, deep connection to your power, enable you to embody and ground into your physical body and to love yourself in a whole new way. This is not life coaching, this is Soul Therapy; an evolutionary conscious expansion on how to be living fully human in your body, mind, spirit and emotions — guided by your soul wisdom. You are invited to schedule a 20-minuteSoul Therapist complimentary consultation with Milla, or attend one of her free events to discover how she can support you in awakening your authentic self. Please bring any questions about your life direction, your challenges, our programs and anything else that you may find of significance to your call.